In today’s female vocalist market, the competition is steep. In the jazz vocalist genre, it’s simply overwhelming with the number of female jazz vocalist entries attempting to gain public favor. Often times the gatekeepers of music reviews, airplay and promotion are tabling these cds they receive for another day and the stack continues to grow. And, that continual glut makes the ascendance of Lyn Stanley all the more impressive. She’s gone from an unknown in 2011 with her first stage performance with jazz legend pianist, Paul Smith, to now selling over 38,000 albums worldwide since her first release in 2013; she’s now earned the title International Recording Artist. Her gross sales for 2017 were over the impressive $200,000 mark with two new releases for her project The Moonlight Sessions putting her on the jazz vocal career watch map for new artists. Lyn Stanley with her debut album, Lost In Romance. Lyn was a retiring corporate marketing executive and adjunct college professor with no music background. But, as luck would have it, her first introduction to the music world was through Ella Fitzgerald’s conductor and accompanist for 25 years, jazz pianist, Paul Smith. Smith heard Stanley’s voice and knew she was unique. He had her on stage with him and his trio four months after their first encounter. This was a jump start the fast paced musical journey Lyn Stanley now enjoys. Lyn has released her 5th album, The Moonlight Sessions Volume Two (Volume One released on May 30, 2017) since 2013 and also released a holiday single in 2014, Little Drummer Boy. She’s been a regular on the CDBaby.com #1 jazz vocal position on all her releases to date, and all five of her releasers have been in their TOP 300 Sellers list out of their 600,000 music catalog, making her one of their “Super Artists.” Critically acclaimed reviews of her work are worldwide in both the jazz vocal and audio high end music publications for her artistry and pristine sound recordings with Grammy Award engineers Al Schmitt and Bernie Grundman manning her products and production quality. 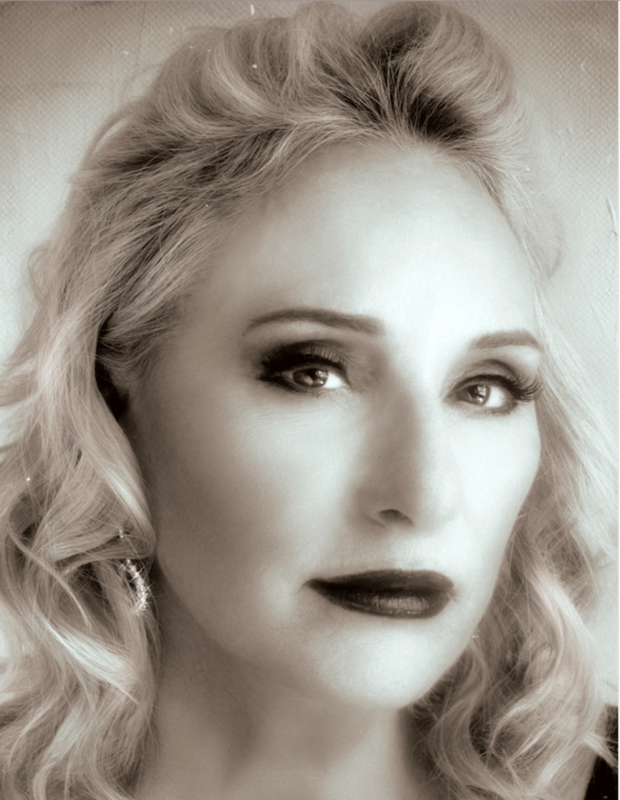 Radio airplay for artists can also be an even greater challenge and Lyn has managed to gain momentum with each release in this area and now she’s gained over 70 jazz stations airing her work worldwide. KKjz, a Global Jazz, Inc. station based in Los Angeles, who’s owner Saul Levine, proclaims Lyn to now be one of the “most outstanding vocalists” in today’s jazz. She’s quickly earning the critic title of “sultry jazz” diva of the decade with her deep, rich tones and emotive lyric delivery. She also has been hired by Panasonic/Technics to support their marketing of Ottava™Forte All In One music system with the first commercial airing in January 2018. “To a GREAT talent”: These are the words of Sammy Nestico, as inscribed his autobiography to Lyn Stanley. Mr. Nestico is a composer, arranger, and conductor who has worked with Count Basie, Frank Sinatra, Sarah Vaughan, Michael Buble, and Barbra Streisand. These are the words of Sammy Nestico. He chose these words to inscribe Lyn Stanley’s copy of his autobiography. Multiple worldwide music critics are calling her “The new sultry jazz vocalist of the decade.” As an interpretive vocalist and acclaimed jazz stylist, Ms. Stanley invites the listener to enter and be part of her unique sonic world as she shapes it with a fresh take on jazz sensibilities and song selections. Lyn Stanley goes a step further: She is dedicated not only to singing great songs in a singular manner but to making a fantastic-sounding ALBUM as well. 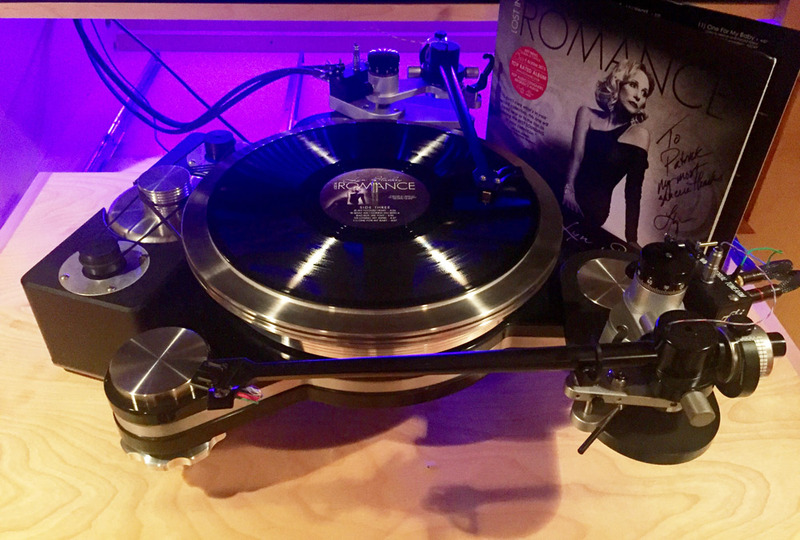 This 2016 Global Music Award winning singer knows her way around quality recording reproduction, hiring the engineering monarchy of sound—veteran and 23 Grammy awards legend Al Schmitt and mastering engineer Bernie Grundman. She records as the big names did at their respective peaks, at top tier places like Avatar in NYC and Hollywood’s Capitol Recording studios. That beautiful voice of hers is captured the way it should be, via Frank Sinatra and Nat King Cole’s most beloved microphone, lovingly dubbed “Telly.” Stanley is more involved than many singers in the recording, mixing, and mastering of her music, lovingly leaving nothing to chance. And, this singer works with only the best—including Mike Garson, three-decade pianist for David Bowie, who started his career in jazz, as did Bowie for those who did not know. Jazz singers, naturally, approach the art of singing in different ways—some employ the voice as an instrument, and songs become vehicles for flights of fancy. Other jazz singers value the song and its integrity—they get into the song, the story it tells, and make it sound as if it might have been written for him or her. Lyn Stanley falls into the latter category—while she brings a jazz sensibility to her singing, The Song is The Thing. (Jazz tenor sax icon Lester Young, for one, would not record a song unless he knew the lyrics.) Pianist Bill Cunliffe, no slouch himself when it comes to weaving a tale (albeit on the keys), said of her, “She understands the lyric and is able to communicate it to the audience.” She is a singer inviting listeners to find a new truth within, all the while keeping the qualities that made the song special to so many listeners in many eras. Lyn Stanley brings the tradition into play in her recordings as well. After listening to Interludes, the aforementioned Nestico wrote in an email: “She is excellent…what a thrill to work with great talent.” Her albums are not simply collections of songs—each one is a virtual novella and displays a distinct growth as a performer/artist. Stanley’s maiden voyage, My Romance brims over with a selection of standards that establishes her as a distinctive stylist with the Great American Songbook. Her crew, including ace drummer Jeff Hamilton, pianist Mike Lang, and saxophonist Bob Sheppard, provide spacious, swinging accompaniment that dovetails with Stanley’s unerring, unassuming embrace of these songs’ spirit. George Harrison’s “Something”—a favorite of Frank Sinatra’s—is given a shimmering, gently swinging, slightly bossa nova-flavored reading. “Too Close for Comfort” epitomizes Saturday night swagger and the promises of romance. Steve Rawlins’ production gives the vocals and instruments such presence the listener is practically in the studio with the ensemble. Potions From the 50s find Stanley extending the Songbook tradition with jazz-enriched versions of songs from the spheres of 1950s rock & roll and rhythm & blues. “I’m Walkin,’ made famous by Fats Domino and Rick Nelson, is transformed into a sassy New Orleans-flavored panorama one can easily imagine sung by Louis Armstrong or Bessie Smith. “In the Still of the Night” because a languid jazz waltz and The Coasters’ “Love Potion #9” an undulating, exotic bluesy tale of love-luck-gone-wrong. The spirit of N’awlins evinces itself yet again with the loping, genially seductive “After the Lights Go Down Low.” Producer Kenny Werner’s unfailingly lyrical piano alternates with the punchier key-craft of Mike Lang, while saxophonist Rickey Woodard lays down some earthy tenor reminiscent of the late great Turrentine. 2015’s Interludes continued her progression, and all the aspects of Stanley’s approach come together in a sublime fashion once again. Among the cast of players herein is a quartet featuring pianist Mike Garson, longtime pianist and musical lieutenant for the late David Bowie from 1973 to 2003. He’s a versatile musician that strides the rock and jazz spheres with equal aplomb. Instrumentation more varied— including jazz harmonica wizard Henrick Meurkens and trombonist Bob McChesney–arrangements on standards such as “One of Those Things” more complex yet maintain a sense of streamlined simplicity. Songs from the rock canon become uniquely her own—Pat Benatar’s “Black Velvet” achieves a lusciously sultry ambience as does Led Zeppelin’s “Whole Lotta Love,” delivered in a manner Peggy Lee herself might envy. These are high-wattage showstoppers and the band must have known when recording because these songs were recorded in one or two takes. “Whole Lotta Love” is the scratch vocal and this song was recorded as you hear it in 15 minutes during a power session at Studio A at Capitol Recording Studio,” says Stanley. While Lyn Stanley is most assuredly a jazz artist, she is in humble opposition to those jazz aficionadas that maintain that it’s a rarified art form suitable for stately and staid admiration rather than enjoyment. 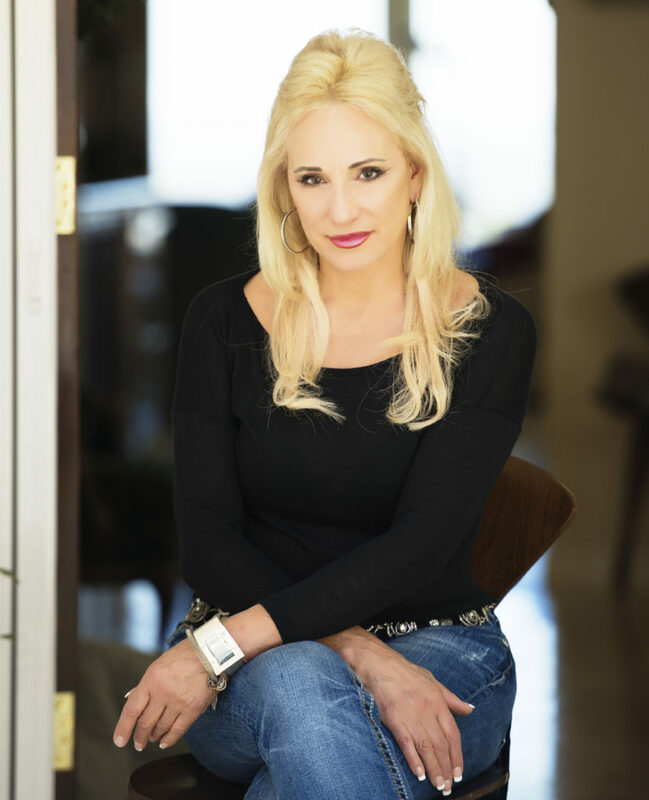 “I am a former champion amateur ballroom dancer,” earning three first places in USA Championship DanceSport in 2010, and she placed third in a World Title Pro/Am event. Most of my songs will have some connection to a known dance, from rhumba, foxtrot, and cha-c ha to nightclub two-step, West Coast swing or even a bolero.” The eclectic Ms. Stanley, who values singers diverse as Al Green, Nancy Wilson, Etta James, and Jerry Lee Lewis along with Peggy Lee, Sarah Vaughan, and Julie London, remembers that jazz at one time was “pop music” and can be again, without compromise. Stanley’s outstanding two 2017 releases-Volumes One and Two of her Moonlight Sessions project have proven to be fascinating, ambitious and critically reviewed as ground breaking and risky but with an outstanding critical acclaim result. Here, Stanley melds the European classical tradition with the Great American Songbook in collaboration with Mike Garson, Christin Jacob, and Tamir Hendelmen. Imagine- ‘Over The Rainbow’ with Debussy… Beethoven’s ‘Moonlight Sonata’ merged into ‘Angel Eyes.’” These creative ideas initially were Ms. Stanley’s from an inspiring moment with Paul Smith’s wife, Annette Warren Smith where a discussion of Carlos Antonio Jobim’s “How Insensitive” and the classic by Chopin’s “Prelude in eMinor.” This started the ball rolling for her handpicked team of classical players and jazz sensations. The future is, as has been said, unwritten—and Lyn Stanley is a lady that’s going to write new chapters in America’s book of songs. She is currently exploring a tribute to Julie London and an up tempo jazz album for dancers. Since you know a little about Julie London, why was she a big asset on the “Emergency!” series, in the 70s?! I do know “a little” as you say. Of what I know, Julie London stayed very close to her first husband and father of two of her 5 children, Jack Webb. Jack was the producer of Emergency! and at the time, Julie and her second husband, Bobby Troup, who was also in the Emergency! series as Dr. Joe Early. Both Julie and Bobby were entering the time of parenting that required, from their perspective, more time at home and a stable environment for their teen years children. Prior to this Julie and Bobby worked clubs as a jazz band, either together, or booked separately, and it was difficult on the children. Jack helped out by hiring them both for his show. You might remember Jack from his “Dragnet” days, which turned him into an overnight success as an actor. He took this role and launched into TV and film production. When he first met Julie, she was a blossoming actor and getting some roles, and he had not make it that far until Dragnet came along. It’s all an interesting tale of life, children and ex’s. As to why Julie was an assett, my guess is she was known for her beauty for many years, and had a following with millions of record sales prior to the Emergency! job. Jack Webb was probably trying to capitalize on this, plus help out his own daughters. It’s just a guess…but seems logical. Julie was a really practical woman based on my research of her. Hope this helps.